Console makers will start cutting prices in order to bolster the sales of software, according to market analyst Michael Pachter. 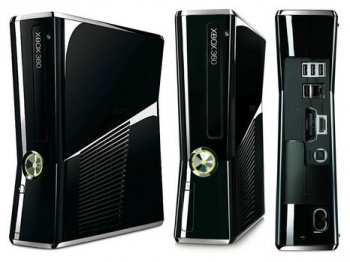 Wedbush Morgan's Michael Pachter thinks that Microsoft will drop the price of the Xbox 360 by as much as $50 early next year. He says that the delay of the 3DS meant that there were no major catalysts left in 2010, but that prices will start being cut in spring next year. Pachter believes that a price cut across the board for consoles will increase software sales by around 5% and that Microsoft will be the first to act. Along with cheaper consoles, he thinks that the 3DS will go a long way to re-invigorating software sales, and that Move and Kinect will help broaden the install base for the PS3 and Xbox 360, which will also have a positive effect. He foresees difficulty in the last part of the year in making decent comparisons between this year and last year, as November 2009 saw the release of the monumentally successful Call of Duty: Modern Warfare 2, meaning that sales for this November will undoubtedly be lower. December will also be tough to compare with last year, as Wal-Mart has a number of aggressive price promotions planned. He thinks that console software sales will end in "negative territory," but they will be offset by sales of StarCraft 2 and the Cataclysm expansion for World of Warcraft.